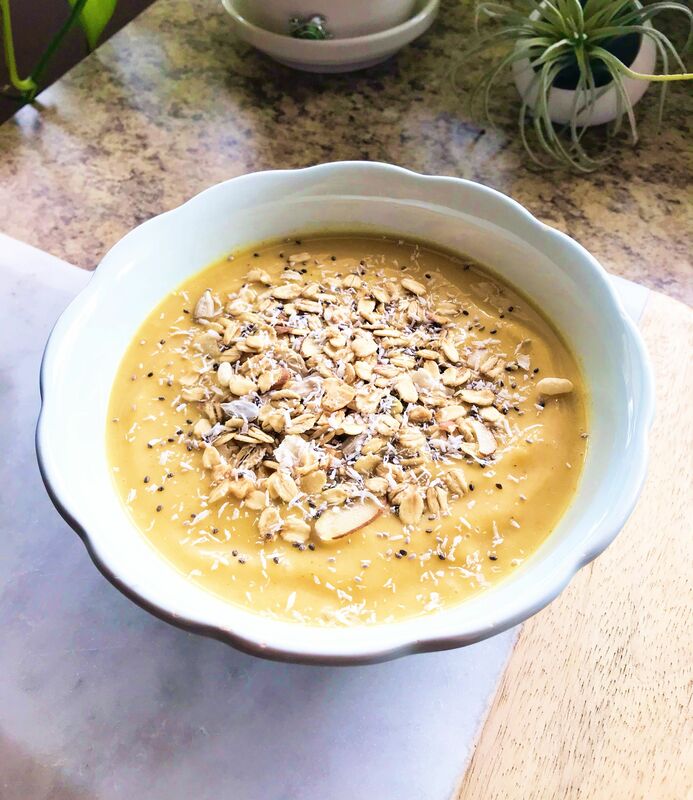 A Mango Turmeric Smoothie Bowl does a body good! With ginger and turmeric for anti-inflammatory benefits and fruits packed with nutrients, this bowl is perfect post workout. Not only is pineapple delicious but it also contains bromelain, which can help aid the body in digestion and absorb nutrients more efficiently. Blend on high adding more coconut milk for desired thickness. Pour in bowl. Add toppings! Chia seeds, shredded coconut, oats, sunflower and pumpkin seed mix are used here.